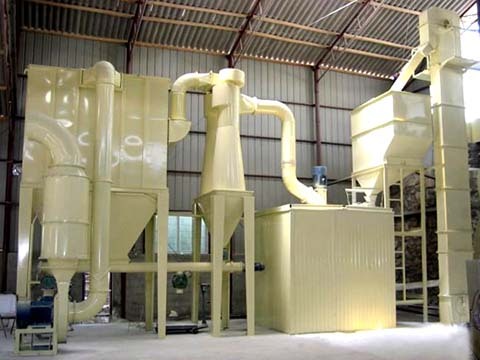 The tricyclic medium-speed micro powder mill is used to process fine powder, super fine powder and non-flammable and non-explosive brittle materials with the medium and low hardness less than the sixth grade mohs. 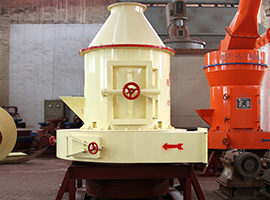 The tricyclic medium-speed micro powder mill drives the main shaft and all rotary tables to rotate via the reducer. The rotary table drives tens of rollers through the pin to roll and rotate inside the grinding ring path. 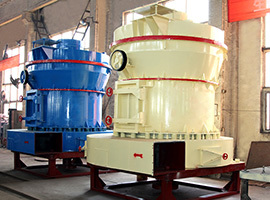 After the bulk materials are crushed by the crusher to small particles, they are conveyed to the storage bin. The magnetic vibrating feeder moves the materials uniformly to the middle part of the upper rotary table. Then materials are scattered around in the centrifugal action and then fall into the roll path to be impacted, rolled and ground. 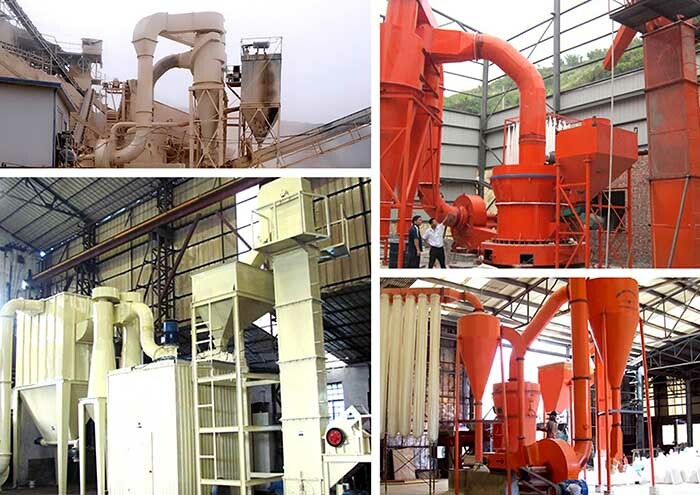 After three stages of crushing process, the outer air is absorbed into the machine by the absorption action of the centrifugal draught fan and the coarse powder is brought to the powder concentrator after the third crushing step. 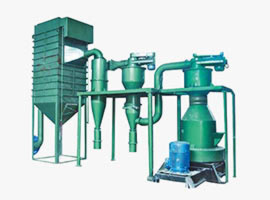 The rotary worm gear in the powder concentrator makes the coarse particles fall back for further grinding. 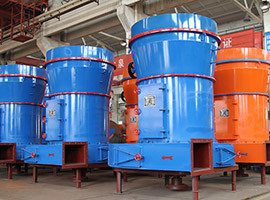 The fine powder enters the cyclone dust collector and then is discharged from the bottom discharging valve as the finished products. The air with a little fine powder will be emitted from the pulse dust collector to the draught fan and silencer.